Airports have long been the domain of taxi cabs, limos, and licensed car services. Ride-sharing services haven’t really been able to break that stronghold, though some have tried. But travelers to one of America’s busiest airports may soon have new options as a result of a new arrangement between United Airlines and Uber. United launched the service Thursday that allows passengers to use the United Airlines mobile app to find UberTaxi information including the types of vehicles available, estimated wait times and prices. The airline’s passengers can hook-up with the Uber service by using the airline’s mobile app to select a ride, at which point they are either directed to the Uber app to complete the transaction or to sign-up for an Uber account. While ride-sharing services such as Uber, Lyft and Sidecar are banned from picking up passengers at most airports, United found a loophole in the Windy City, Crain’s Chicago Business reports. UberTaxi is permitted at O’Hare International Airport and Midway Airport, because the service links to professional taxi drivers and Uber dispatches the licensed cabs themselves. Other Uber options, including UberX, UberLX and the company’s black cars, will continue to be prohibited from fetching passengers at the airport. 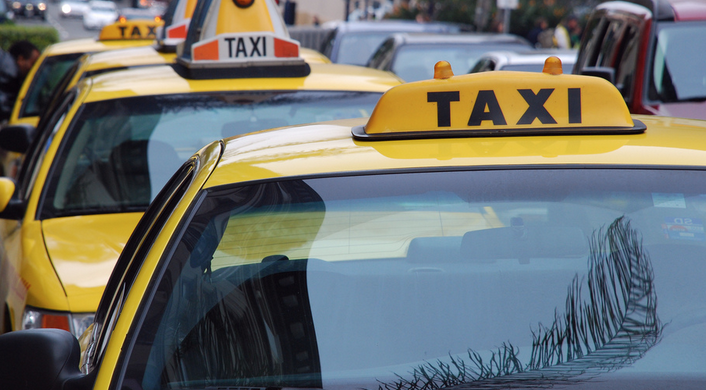 The taxi and limousine industry has been opposed to allowing ride-share companies to pick up passengers from airports, claiming they would cut into business and skirt the typical $4 departure stamp required, Crain’s reports. Officials with United claim the partnership will ensure passengers have a more convenient journey, but we’re not exactly sure about that. For starters, would the service be any faster than waiting in line at the taxi stand? Generally, when one requests a pick up from Uber it takes a few minutes for the car to arrive. Also, it’s unclear if Uber will have a designated pick up location at the Chicago airports, which means passengers could be left wandering around looking for their driver.